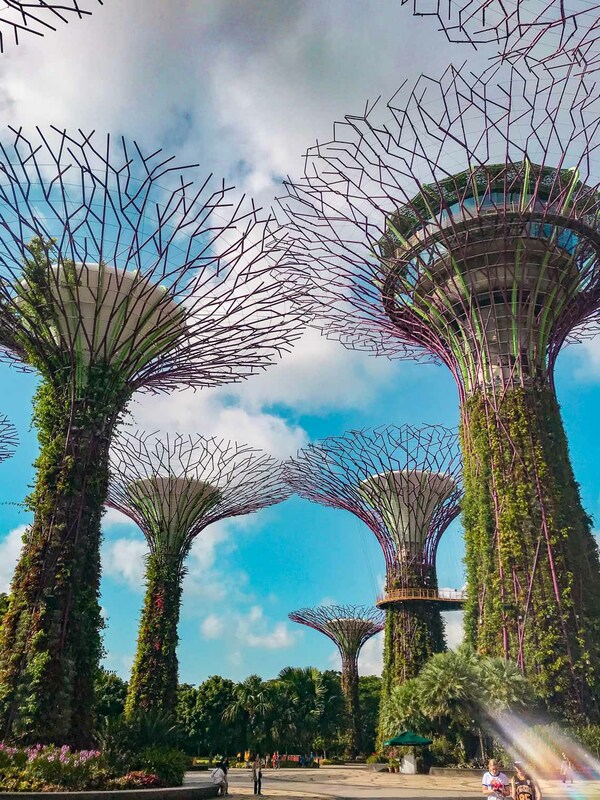 Everywhere you look, you can find articles and post about what to do in Singapore (or in any other place). 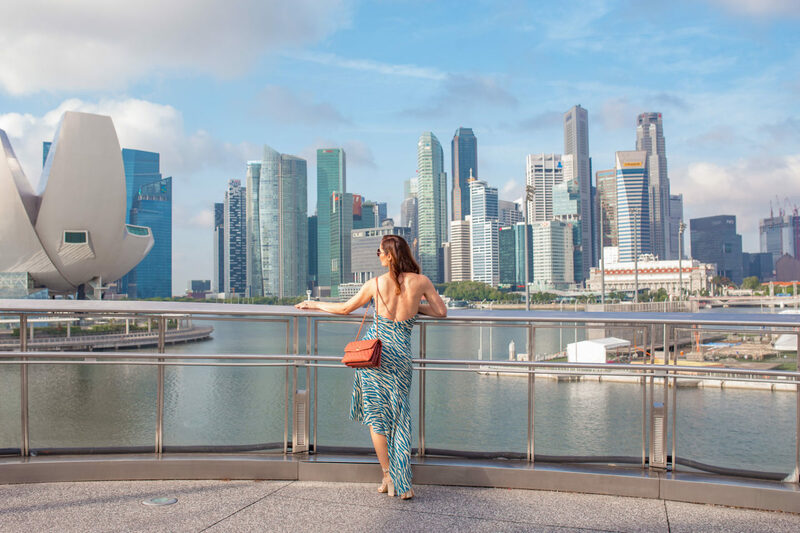 In this post I want to give you more of an idea how to enjoy Singapore sightseeing without having stress from running around all the “must see” places. My parents always used to say, when we travelled, that they are interested in enjoying the local life as well as seeing the touristic places. And it stayed with me. Don’t get me wrong. I do like to see the important bits, but i refuse to stressing about it. That is why from now on, all my travel post will be also in this sense. Enjoying the local life while seeing the touristic side as well. So if you have just few days in this amazing city, here how you can spend it. 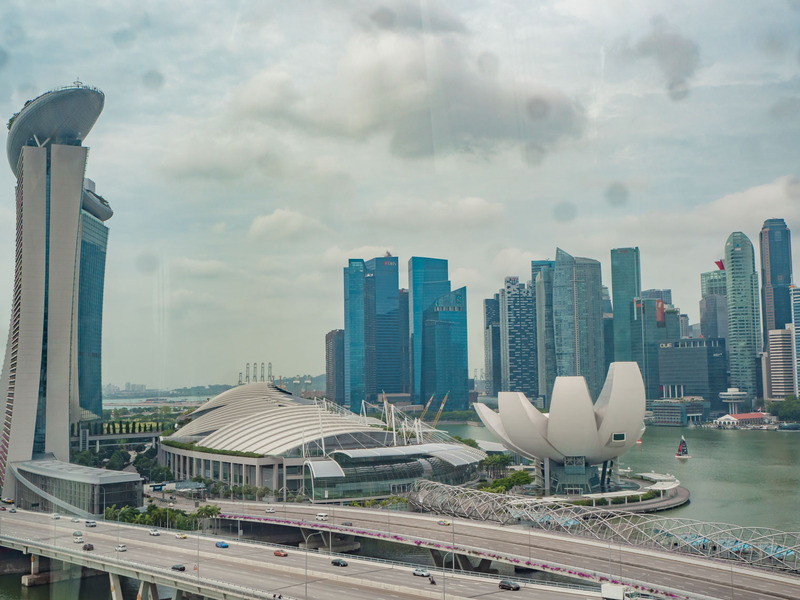 Because of the humidity and heat, I would strongly recommend to do Singapore sightseeing things early in the morning. Most places open at 9am, some earlier. Straight after breakfast, head over to Gardens By The Bay. Depend on where you stay, you might need to take a taxi. We stayed in St Regis Singapore and from there it takes about 20 min in rush hours. This is one of the most iconic places to see in Singapore, right with Marina Bay Sands, which is just next door. That is why I would go there first. The gardens are very very pretty, but I would suggest max two hours. By 11am it will start being very hot and you might start to feel a bit uncomfortable. At 9am they open the sky walk, so I would recommend to go there first, before it get crowded. Sky walk is a path connecting two of the super trees and the view is gorgeous. Later on, there will be more people and possibly a queue as well, so going there first you will get the most out of it. 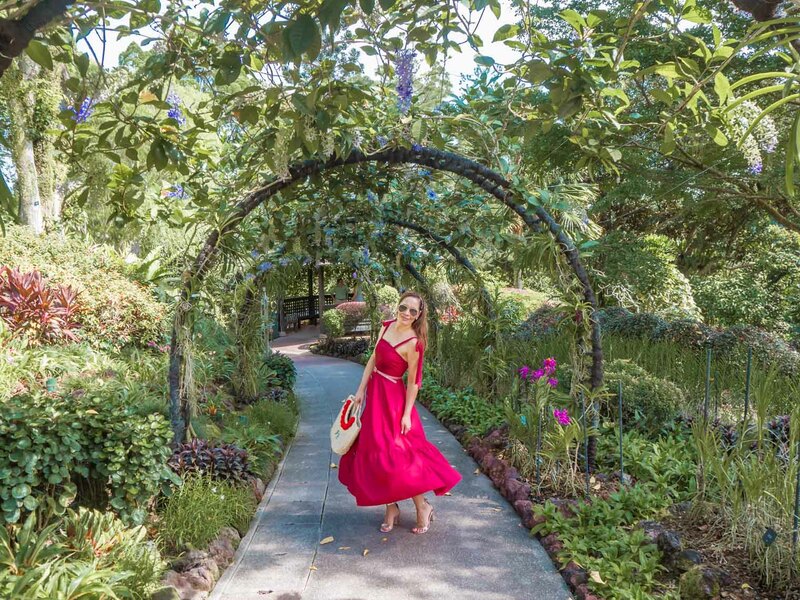 Definitely make sure that you visit both Domes, Flower Dome with beautiful exhibition of flowers from around the world which changes regularly and the Cloud Forest Dome with the most amazing waterfall. After that, if you are hot already, you can walk to Marina Bay Sands shopping mall for a nice TGW tea or do a bit a shopping. Marina Bay Sands shopping mall is full of high end brand like Louis Vuitton, Prada, Tod’s or Hermes. However you can also find some Asian brands like Moiselle, which I am totally obsessing out right now. After a bit of shopping, you can enjoy lunch in one of the restaurants like Cut by Wolfgang Puck. But is you wish something more informal, then Oyster bar by Daniel Boulud might be for you. If you feel like something more festive, you can go up the Marina Bay Sands to Spago. There you can enjoy gorgeous view by sipping one the beautiful cocktails and Italian food. As the worst humidity I found it was always in the afternoon, you can spend the afternoon either in your hotel relaxing an AC or having a spa treatment. In the evening you can choose from countless of amazing restaurants, like Les Amis to end the perfect day with perfect dinner. There is so much to do in Singapore and great places to see, however I thing one needs to be picky. For the day two I would do the following. Get up early and go for a walk to Botanical Gardens, They open very early , so you can enjoy the gardens without all the tourists and with less heat. Also there is a fragrance garden, where you can enjoy the most incredible smells. But for that you have to be there practically at dawn, or very early, or very late in the evening. That is when the flowers release their fragrance most. 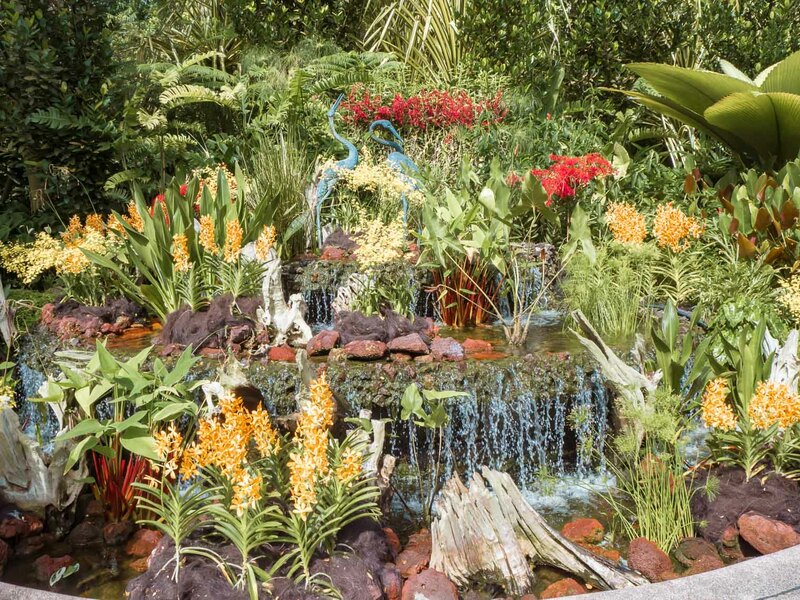 Also you can enjoy the most beautiful orchid garden. 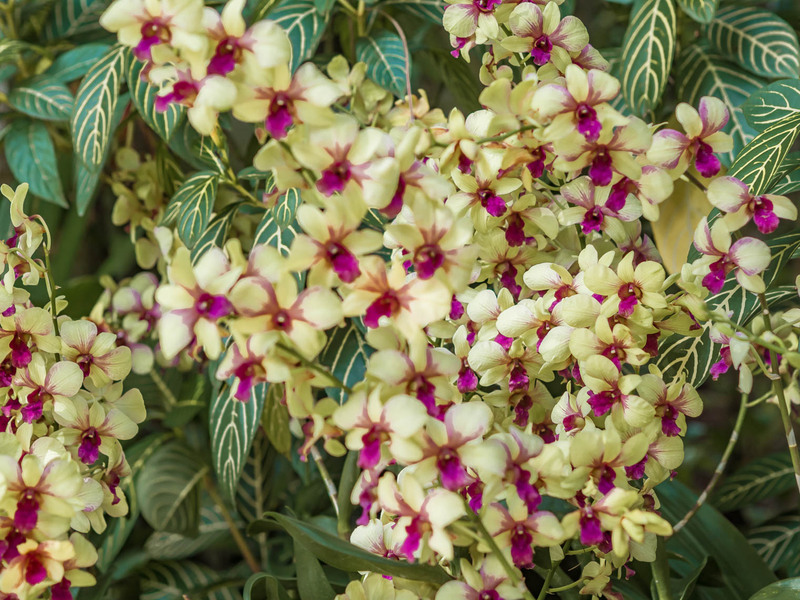 Orchids actually originated in Singapore so this is their true home. They are spectacular. The Botanical gardens are huge so in order to walk around and enjoy, you need at least 2 hours. As it gets really hot later, a bit of AC either in the hotel or in a shopping mall would do you good. It is actually quite extraordinary, how much time locals spend actually in shopping malls and restaurants. If you like shopping, day two is ideal. You already saw bits and pieces but you have get a bit of break from being a tourist. So in the afternoon why not go to explore shopping malls on the Orchard neighbourhood? The best ones are Ion Orchard, Paragon and Ngee Ann City. There are countless more, but in these three you will find pretty much everything you might want, from high street to high end. 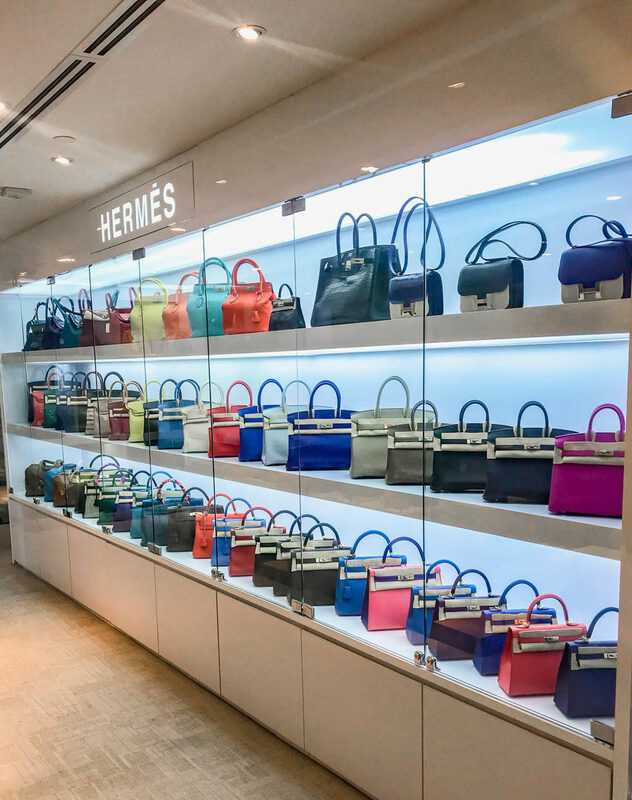 Also for those who are desperate to get their hands on some Hermes bags, In Mandarin Gallery there are two shops with countless of authentic Birkins and Kellys and any other Hermes bags you can imagine in almost any colour. The lowdown? The are more expensive than if you buy them in Hermes shop. And some of them have been used (even just once and they are in impeccable condition). However as it is almost impossible to get one from the shop, this is a great option. For dinner, why not going to Japanese restaurant Aoki, where you can sit at the bar and enjoy watching skilful chefs preparing the most delicate looking dishes from the fish delivered from Japan. Start your day by a nice walk around China town. 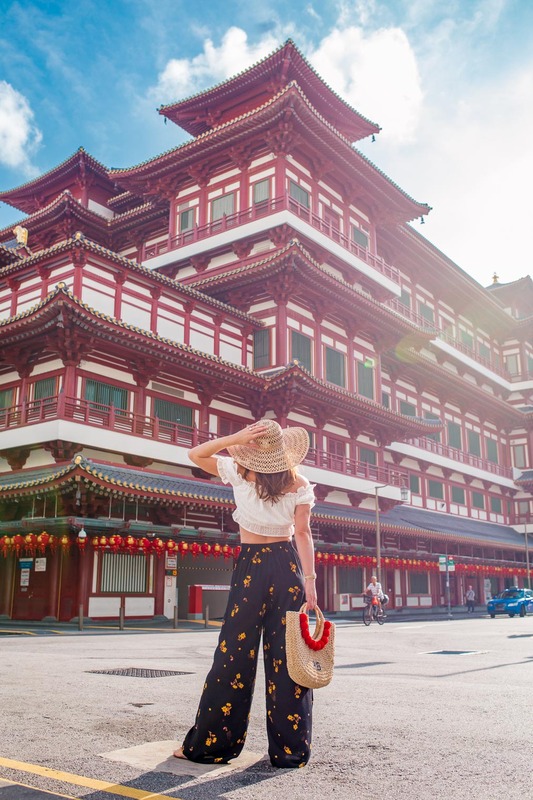 The Buddha Tooth Relic Temple is gorgeous and definitely worth seeing. Even though it was only built in 2007, its interior and every detail feels like it has been there for over 100 years. From Chine town you can walk to Merlion park, which is exactly opposite of Marina Bay Sands. Merlion is a national icon with a head of a lion and a body of a fish. The body symbolises its humble beginning as a fishing village. Its head represents Singapore’s original name, Singapura, or ‘lion city’ in Malay. From there you can pop in the Fullerton Hotel or Fullerton Bay Hotel for nice lunch. Fullerton Bay hotel has amazing roof top bar Lantern, where you can have simple lunch and a glass of chilled wine. This is also an amazing place to have a pre-dinner drink. If, in the afternoon you feel like you still want to see some culture, go to Art Science museum. It can get a bit busy, but not more than any other museum. You can spend as much time or as little as you want. From the museum, you can go across the Helix bridge to Russian wheel. 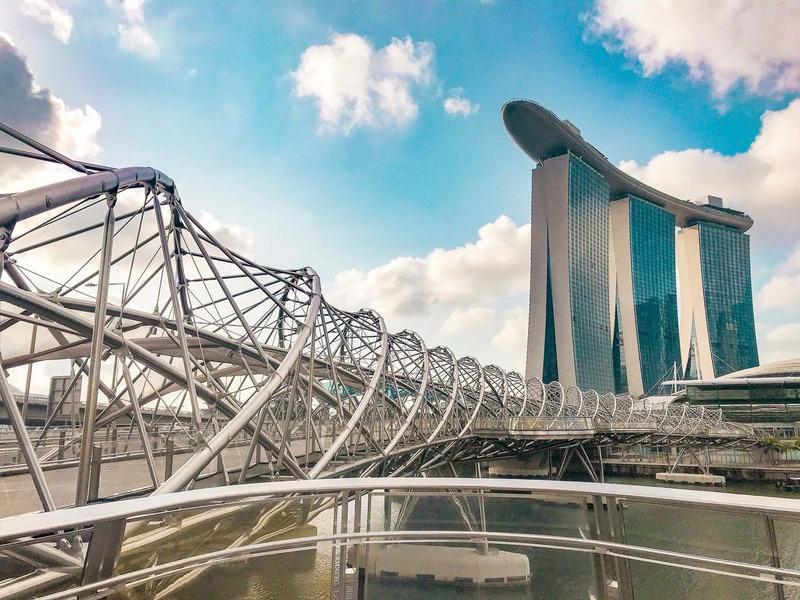 Helix bridge is fascinating as it is built in a shape of DNA. 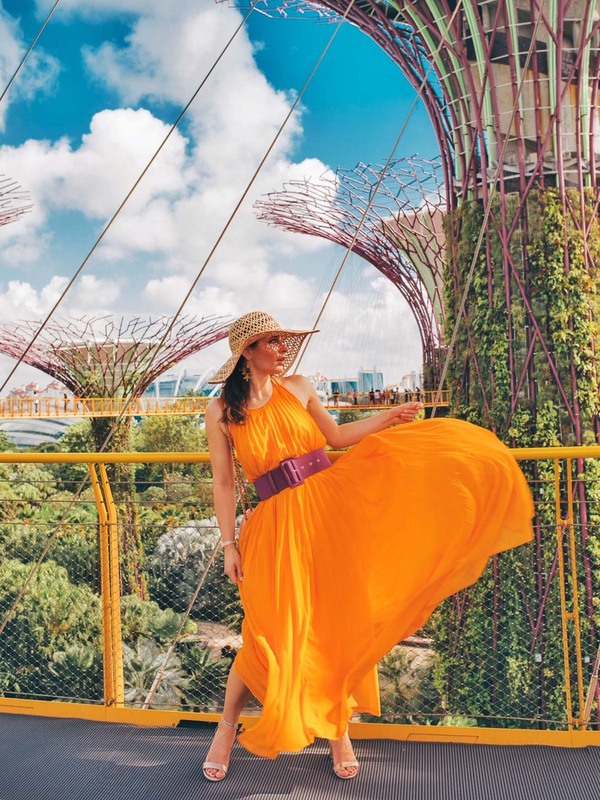 From the Russian wheel, which is the highest one in Asia, you can enjoy the beautiful view and see the whole of Singapore like on the palm of your hand. It wouldn’t be proper visit if you wouldn’t have at least one dinner at Marina Bay Sands. Ce La Vi restaurant is a great choice, especially if you go with friends. Lively place with great views and an amazing Asian food. And don’t forget to order Wagyu beef as it is fabulous! If you leave next day, with an itinerary like this, you will have all days perfectly organised without missing the most important bits but enjoying the relaxing holidays. Have you been to Singapore? What if your favourite thing to do there? Let me know in the comments below. Next Post Microblading eyebrows: Is this the new norm?